A recent report from the Learning Policy Institute, "A coming crisis in teaching? 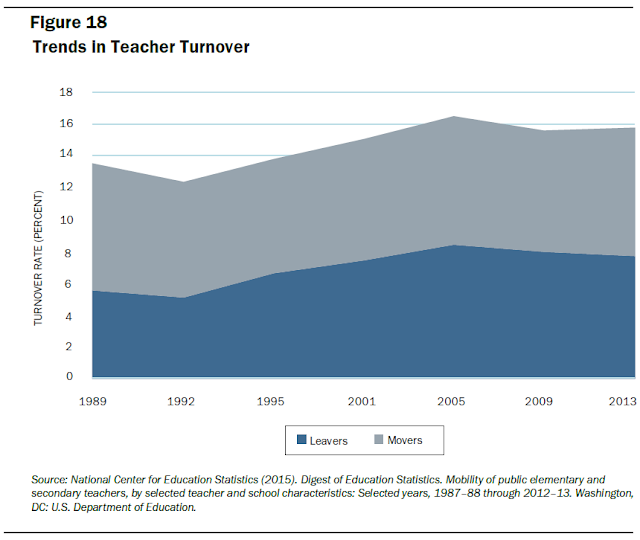 Teacher supply, demand, and shortages in the U.S.", projects a shortage of about 100,000 teachers by 2018. Worse, the shortages are not uniform across the country. The South is already experiencing severe shortages while Massachusetts still has a surplus. The needs also vary with subject. The demand for teachers for mathematics, science, special education and English language learners runs above the supply in most states. Worse, schools that need teachers the most, schools that teach poor students, are often the first ones to suffer. 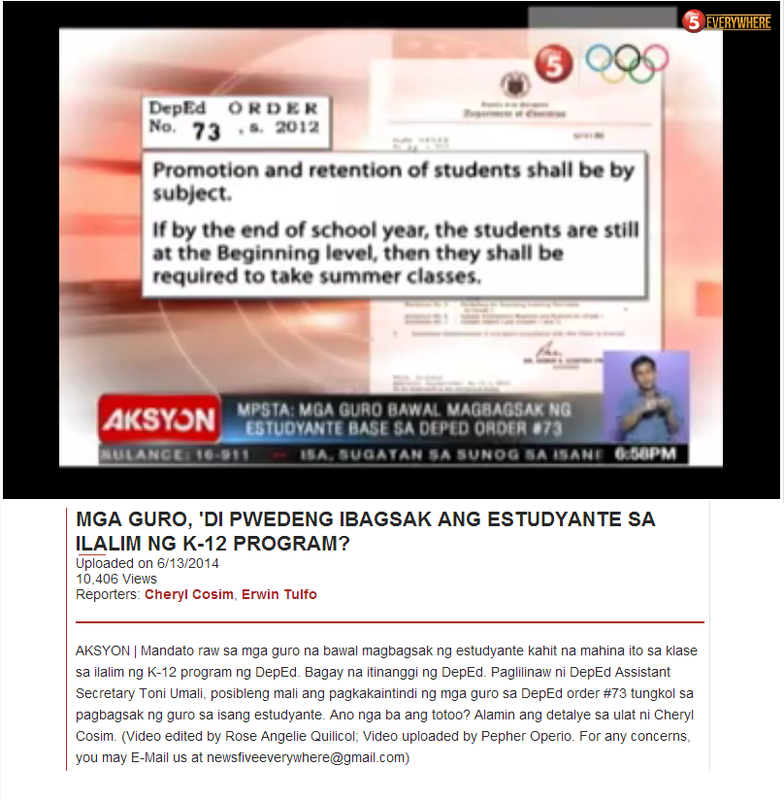 One big reason behind this shortage, according to the report, is the significant number of teachers quitting. There are about 3 million teachers in US public schools. Thus, a leaving rate of 8% corresponds to 240,000 teachers quitting every year. One can easily compare this with the number of persons who have completed a teacher preparation program for example in the year 2014, only 180,000. 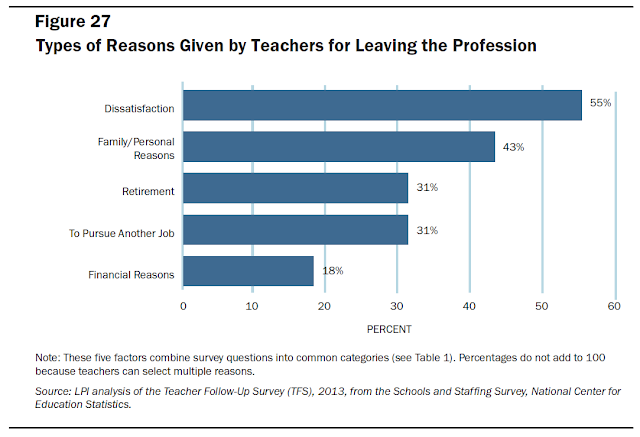 Clearly, more individuals are leaving than entering the profession. The report does not stop at supply and demand. It also has a survey of the reasons why teachers leave. Teachers are dissatisfied and if one digs deeper, most are not happy because of assessments. High stakes assessments have not done any good to public basic education, yet policy makers keep insisting on these failed measures. This huge disconnect often happens when those who draw policy are completely divorced from the reality of the situation. We can only hope that this report from Sutcher, Darling-Hammond, and Carver-Thomas opens the eyes of those who need to see what is truly going on in basic education. 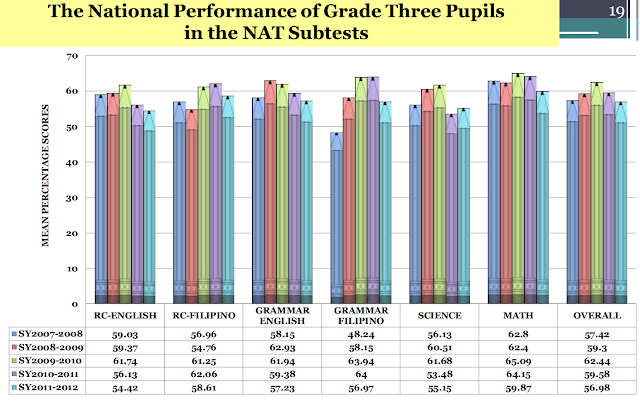 How Can We Improve Students' Reading Abilities? Are We Really Teaching Our Children Science? What Type of Leadership Do We Need in Education?